Kitty Bolte is an environmental hero. Growing up in California, Kitty worked on farms as a teenager, caring immensely about the natural world and its diversity. 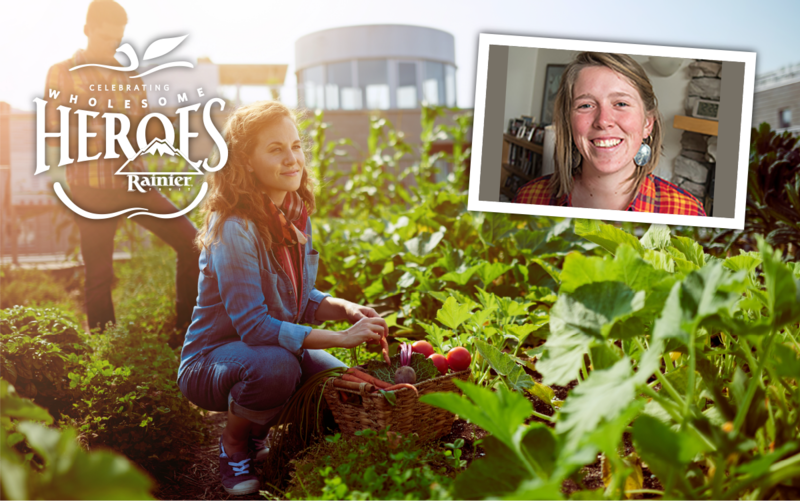 Her love of agriculture has helped with her work in interesting, fast paced and problem solving environments. Since 2017, Kitty has worked for the Xerces Society, a California based non-profit environmental organization that focuses on the conservation of invertebrates. She and her colleagues work to protect invertebrates and pollinators that contribute to the survival of wildlife, the pollination of crops, and the health of our environment. She is revolutionizing the way farmers protect insects and help their environments flourish. Kitty loves to see the connections that can be made through her work. 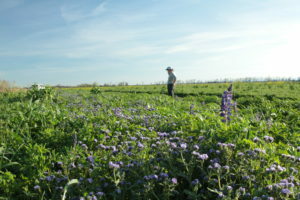 While planting a pollinator habitat in Colusa County California, she was working with a crew of farm workers. 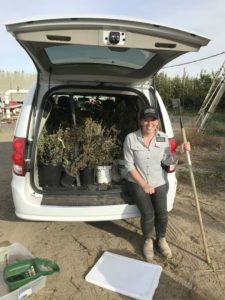 “The workers were very excited and engaged to learn about the milkweed they were planting because it is the larval host for monarch butterflies, which migrate north from Mexico and the Central Coast of CA all the way to Eastern Washington,” Kitty explains. These workers were all from the part of Mexico where monarchs spend the winter months, which is often an incredible sight. When the monarchs overwinter, there can be up to 15,000 butterflies clustered together on just a single tree branch. Kitty was pleased to see such an exciting and meaningful connection between her work and something that reminded these workers of their home. Since expanding Xerces’ work from California to Washington, Kitty says there is a lot more to learn. “We need to redefine the way we do things,” Kitty states. 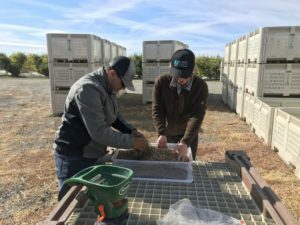 “Right now, we have a pilot program in place in several apple orchards, but we need to keep expanding the grounds where we work.” Moving into different states means dealing with different climates and different species, which can be a challenge in itself. Kitty and Xerces are continuing to push forward to expand to many more farms and cities.